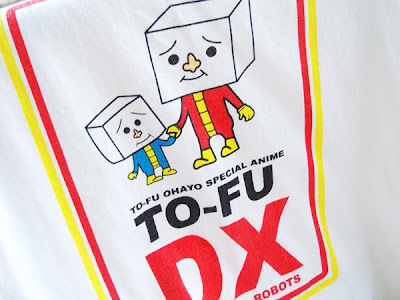 Along with Doraemon, Totoro, Astroboy, Aokubi Daikon and Gloomy Bear characters I also like Tofu Oyako. 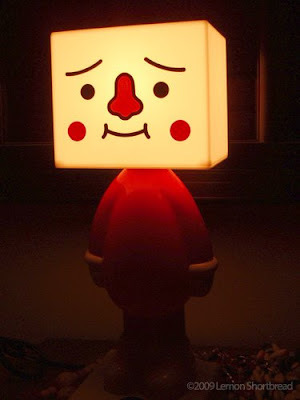 Recently I bought a night light figurine, so cute when illuminated. It may possibly be a counterfeit since the packaging does not say Tofu Oyako anywhere. A strange creature, ugly but adorable. 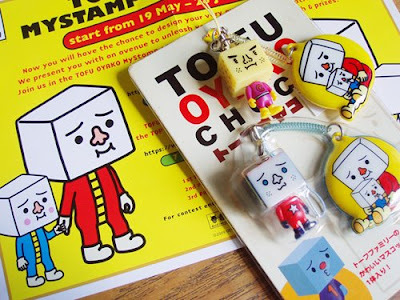 I first came across Tofu at the back of IDN magazine as a filler comic feature a few years ago. 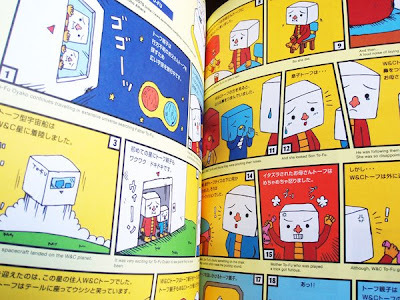 The magazine doesn't carry the comic strips anymore. I don't usually spend on toys, since I prefer collecting art books instead. Toys are nice but a little heavy on my pursestrings, unless my favourite characters catches my eye for the right price. Gachapon machines (lottery toys in capsules) work just fine for my case. Any toys you guys collect? 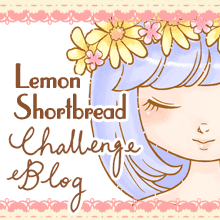 Just came across yr blog via Moonspinner's gorgeous site and had to stop by after reading a few previous posts! 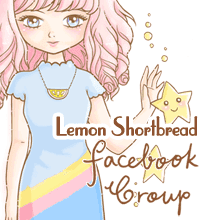 Love its title and images. Hope to be back again soon to take a closer look at earlier posts! PS The t-shirt from Thailand brought back v. happy memories of my recent trip there! I bought the lamp at Action City! ok I'll try Action City, thank you!